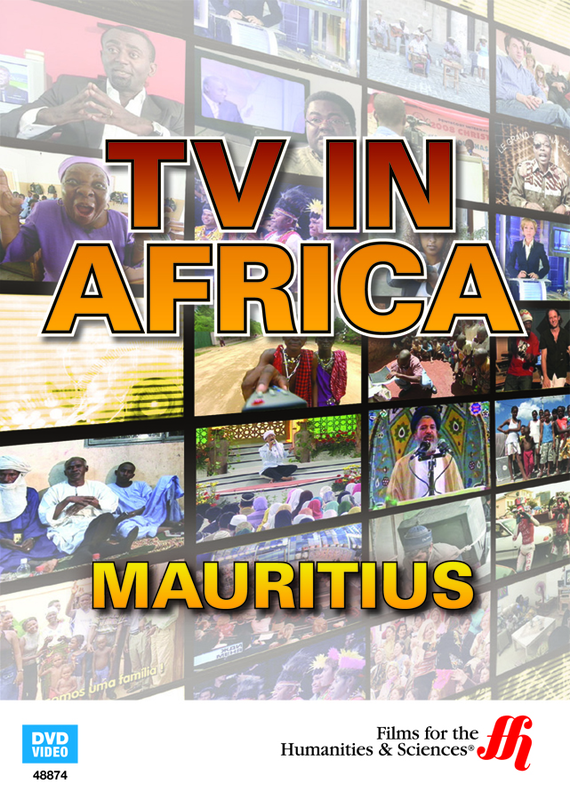 A documentary examining Mauritius' cultural, political, and social history through the study of the island's television programming. From the wacky sketches of Badinaz to the to the interracial romances of C'est la Vie, Mauritius: TV in Africa showcases the culturally history of the small, island nation in the Indian Ocean. As a part of the series TV in Africa, this 27-minute exploration of this Creole community highlights the hallmarks of a culture's moving picture media catalog. Reflecting on the importance of television programming as an indicator of Mauritius' political, social, and artistic climate, this educational presentation is subdivided into categories concentrating on a specific show, in order to magnify the dominating elements of a given project and discuss their specific impact to the island's culture. Featuring clips from Kel Fami! (What a Family! ), Bonnto (That's Great), Tulsi, and Sega Hungama, this presentation utilizes television programming as a vehicle to concisely detail a people's culture.